Mini Countryman Running Costs, MPG, Economy, Reliability, Safety | What Car? Compared with premium rivals, the Countryman’s purchase price is on a par with the likes of the Audi Q2 and undercuts the Mercedes-Benz GLA. It’s worth remembering that bigger mainstream rivals are the same price, if not cheaper, though. Equipment levels are fairly generous, but we suspect most buyers will want to add a couple of thousand pounds' worth of toys and personalisation options. You do at least get the option of Mini’s fixed-price servicing (called TLC) and strong residual values. Front-wheel-drive petrol Countryman models will be pretty frugal and are ideal if you’re not travelling too far every year. The diesels are the best bet if you’re planning on racking up the miles and the automatic gearboxes also improve economy and emissions. Four-wheel drive is optional, but we’d only recommend it if you find yourself dealing with mud and snow regularly. On road, buyers are best to save their money and enjoy the lowing running costs of the two-wheel-drive models. Business users might be interested in the plug-in hybrid Cooper S E, thanks to CO2 emissions of just 55g/km. Even taking into account that model's high purchase price, that should still mean affordable benefit-in-kind payments. That said, we would take the car’s official fuel economy figure of 97.4mpg with a pinch of salt. It might be achievable on a short journey with a fully charged battery, but once you’ve run out of electricity, it isn't much more efficient than the regular Coopers. An 80% charge only takes three hours via a standard three-pin socket, or two hours using a public or wall charging point. The Countryman comes in three trim levels: Classic, Sport and Executive. Classic gets you alloy wheels, Bluetooth, cruise control, rear parking sensors and sat-nav. Sport adds a racy bodykit, 17in wheels, sports seats and cruise control, while Exclusive is more luxurious, with different 17in wheels, leather seats and more chrome. Whichever version you go for, we’d advise forking out a bit extra on one of the optional packs, which round up desirable extras for less money than you'd pay to add all of these things individually. The majority of Mini buyers add at least one pack, so not doing so is likely to make your car harder to sell on in the future. The Comfort Pack is well worth considering, because it’s not too pricey and adds rear parking sensors, climate control, heated front seats and a central armrest. The larger touchscreen and Apple CarPlay smartphone mirroring that come with the Navigation Plus Pack are also well worth considering. You can add individual options if you prefer, and there are countless ways to make your Mini stand out from the crowd visually, too. The Countryman was too new to appear in our 2018 Reliability Survey, but Mini as a brand achieved a mid-table ranking in our league of 31 manufacturers. Mini offers a warranty for three years, with unlimited mileage. All Countryman models get an alarm, eight airbags, stability control, traction control, rear parking sensors and a tyre pressure monitor. Adaptive cruise control with automatic emergency braking and traffic sign recognition are among the options. Euro NCAP has crash tested the Countryman and it received a full five-star rating. However, seeing as all of the Countryman’s best rivals get five stars, too, it’s worth delving into the finer points of its score breakdown. On closer inspection, both the Audi Q2 and Seat Ateca score more highly in their adult, child and pedestrian protection scores, meaning these rivals proved safer across the board. NCAP has penalised the Countryman for not getting standard automatic emergency braking, which its rivals do. 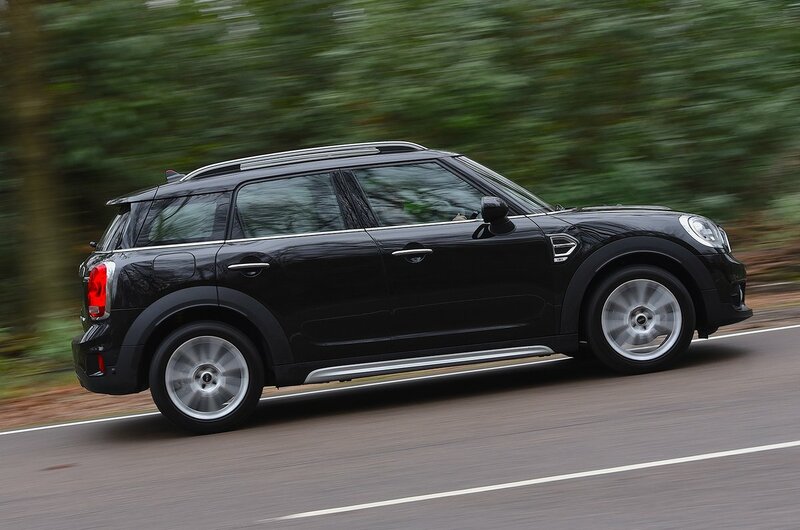 The Mini Countryman offers a great combination of space, style and desirability, with just enough on-road fun. But there are still far better options out there that offer a more premium feel and overall more composed ride, such as the Seat Ateca.